A knee dislocation is a devastating injury where at least three of the four main ligaments of the knee are torn and the tibia is dislocated away from the femur. These injuries usually result from high-velocity traumas, such as motor vehicle accidents. They can occur in sports like football and skiing. Urgent evaluation of these injuries is critical. If the tibia is dislocated at the time of presentation, attempts to reduce it are usually warranted. If these injuries occur in an athletic setting, team physicians or athletic trainers recognize the deformity and try to reduce the knee back into position immediately. In an emergency department, physicians often obtain knee x-rays before attempting the reduction. Usually the knee relocates easily, but occasionally these can be irreducible injuries. Evaluation of the patient’s neurovascular status is crucial as well. Multi-ligament knee injuries and knee dislocations often involve enough trauma to injure the blood vessels and nerves around the knee along with the ligaments. Checking pulses in the foot and nerve function and performing vascular studies are often required. Recognition and emergent treatment of neurovascular injuries can save the lower leg. Treatment of multi-ligament knee injuries almost always involves surgery. Knowing which specific ligaments are torn, as well as the overall status of the knee and other bodily injuries, plays a role in surgical decision making. Some surgeons treat these injuries in one surgery, which can require a three- to six-hour procedure to reconstruct the ACL and PCL and repair or reconstruct the MCL and/or LCL and posterolateral corner. 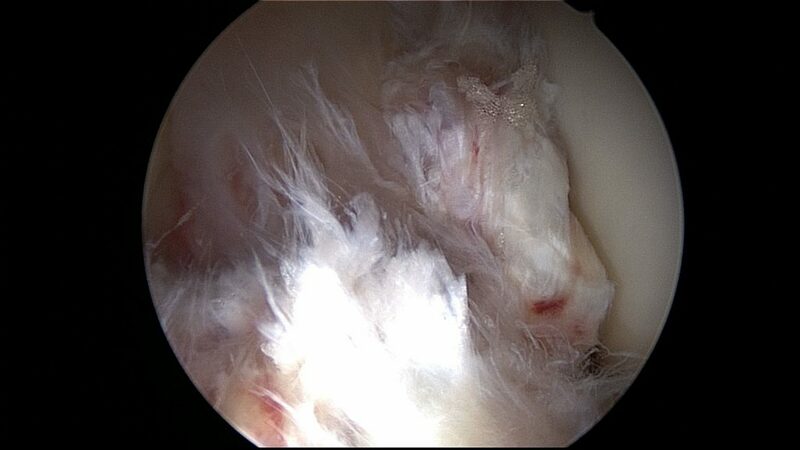 Other surgeons choose to address the MCL, LCL, and posterolateral corner immediately. They then rehabilitate the patient and work to regain knee motion before returning weeks or months later to address the ACL and PCL. Historically these injuries were life altering. Patients often developed knee stiffness and had permanent gait changes. With early surgical management and advanced arthroscopic procedures, patients more often return to fairly normal knee function and can perform normal daily activities and exercise. Returning to high-level sports is much less likely, though, due to the cutting and pivoting required with these activities.